We deal in Titanium scrap & Turnings.We supply to steel industry & export. Titanium scrap we have a large stock of titanium scrape in gr 2 and gr 1 and alloy We have in scrape sheet, pipe, flat, basket, jail in scrape and heat exchanger sheets turning, boring, powder also available please contact us for any kind of metal in titanium. Since we have incepted in this arena, we are betrothed in delivering a broad spectrum of Sell Titanium Scrap. Used in various industrial applications, these are highly demanded. Additionally, these are well packed before getting dispatched at the destination of our customers. Moreover, we deliver these to our customers on time. 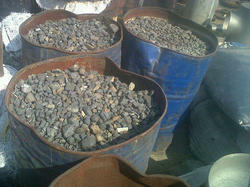 We are a leading name in dealers of Titanium Scrap in the global market. We offer high grade of these titanium scrap to our clients. Titanium scrap are useful with their properties of corrosion resistance (saltwater propeller shafts), high melting temperature and hard but lightweight makeup. We are instrumental in offering a range of titanium scrap, which is also known as space age metals. Furthermore, these scraps can be used with a variety of elements & grade 2 & 5 with alloy grade titanium, so as to develop strong and lightweight products. These high in quality scraps are widely used by our clients in chemical and petrochemical industries. We are engaged in offering high quality Titanium Scraps to our clients. These scraps are recommended for their hard but lightweight nature, high melting temperature and corrosion-resistance (saltwater propeller shafts). 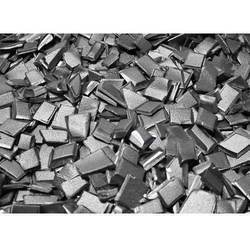 Our range of titanium scraps finds extensive application in numerous engineering industries. We have 45T of scrap of Aircraft. We need buyer for the same. Purity is of >99.5% . Lab Reports available with all approvals. The Titanium scrap supplied by us are accepted by clients in various spheres of the industries ranging from basic industries such as Sugar, Paper, Textile, Dairy, Engineering to more complex such as Oil & Gas, Petrochemical, Chemical & Fertilizers, Power Generation and Nuclear Industries. Melting Point: 1668 Deg. Cel. Boiling Point: 3287 Deg. Cel. We offer Titanium Scrapto our clients.